In Apex Legends, players take on the role of one of eight Legends who are unique champions with different styles and abilities. 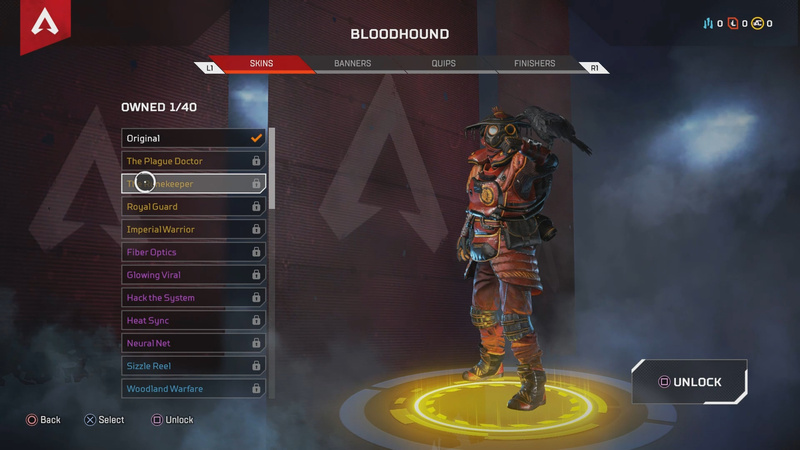 Like other games in the BR genre, Apex Legends lets players customize the look of their character via skins. Skins come in different rarities with Legendary (gold) being the most rare and expensive. Before you drop any dough, take a look at all the (currently available) Apex Legends Legendary Skins below. This is the Original Skin for the Legend Bloodhound. The Plague Doctor Legendary Bloodhound Skin. The Runekeeper Legendary Bloodhound Skin. Royal Guard Legendary Bloodhound Skin. Imperial Warrior Legendary Bloodhound Skin. This is what tank boi Gibraltar looks like normally. Tank man Gibraltar has a total of 4 Legendary Skins currently available for purchase. You can check out the default Gibraltar skin above and the various Legendary Skins below. The Millenium Tusk Gibraltar Legendary Skin. The Dark Side Gibraltar Legendary Skin. The Ride or Die Gibraltar Legendary Skin. The Bunker Buster Gibraltar Legendary Skin. This is what Lifeline normally looks like. The Combat Medic Legend Lifeline has a total of 4 currently available Legendary Skins for players to purchase. To see the Original Lifeline skin check out the image above. To see the Legendary Lifeline skins, check them out below. The Peak Performer Lifeline Skin in Apex Legends. The Vital Signs Lifeline Skin in Apex Legends. The London Calling Lifeline Skin in Apex Legends. The Organized Anarchy Lifeline Skin in Apex Legends. Robot Forward Scout Pathfinder is the next Legend we will be highlighting. This Legend has a total of 4 Legendary Skins available for purchase. The Original Skin is pictured above while the Legendary Skins can be found below. The Angel City Pacer Pathfinder Skin in Apex Legends. The Quicksilver Pathfinder Skin in Apex Legends. The Model P Pathfinder Skin in Apex Legends. 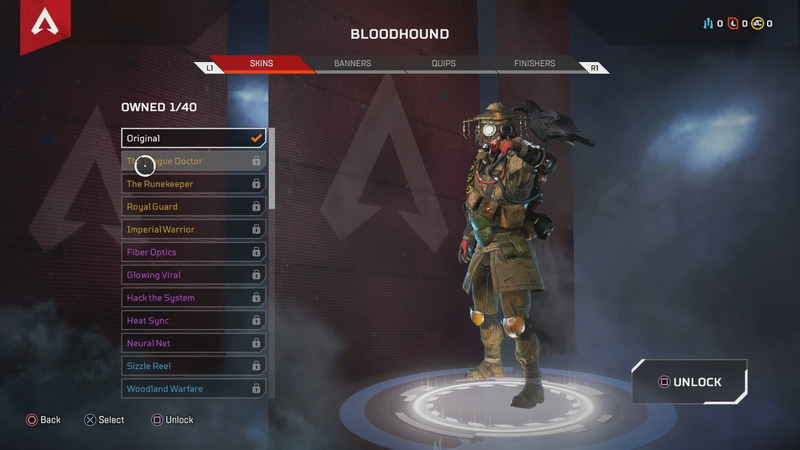 The Aviator Pathfinder Skin in Apex Legends. The Original Wraith Skin in Apex Legends. Next up on the list is Wraith. Wraith has a total of 4 Legendary Skins currently available. The Original Wraith Skin is pictured above, while the Legendary Skins are listed below. The Liberator Wraith Skin in Apex Legends. The Vengeance Seeker Wraith Skin in Apex Legends. The Quarantine 722 Wraith Skin in Apex Legends. The Void Specialist Wraith Skin in Apex Legends. The Original Bangalore Skin in Apex Legends. The soldier class, Bangalore, has a number of Legendary Skins for purchase. These 4 Legendary Skins can be viewed below, while the Original Bangalore Skin can be viewed above. 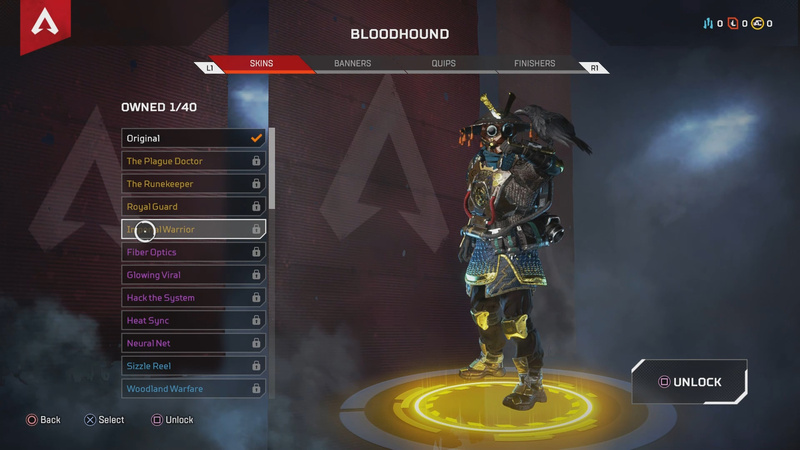 The Enforcer Bangalore Skin in Apex Legends. The Officer Williams Skin in Apex Legends. The Spacewalker Skin in Apex Legends. The Apex Overdrive Bangalore Skin in Apex Legends. The Original Caustic Skin in Apex Legends. Everyone’s favorite Toxic Trapper, Caustic has a bunch of Legendary Skins for fans of this poison Legend. Like other Legends you will find that Caustic has 4 Legendary Skins for purchase. The Original Caustic skin can be seen above. The Sixth Sense Caustic Skin in Apex Legends. The Divine Right Caustic Skin in Apex Legends. The Philosopher’s Stone Caustic Skin in Apex Legends. The Blackheart Caustic Skin in Apex Legends. The Original Mirage Skin in Apex Legends. The final Legend we will be covering is Mirage. Mirage has 4 Legendary Skins for you to unlock. These 4 Legendary Mirage Skins are highlighted below (see above for Original Mirage Skin). The Revenger Mirage Skin in Apex Legends. The Ghost Machine Mirage Skin in Apex Legends. The Angel City Hustler Mirage Skin in Apex Legends. The Prestige Mirage Skin in Apex Legends. As of the time of writing there are a total of 32 Legendary Legend Skins for purchase/unlock in Apex Legends. Since the game is relatively new, I fully expect this number to increase. 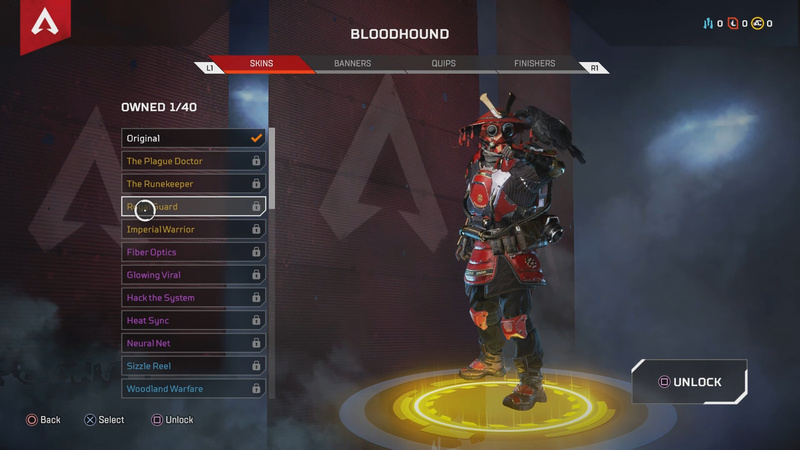 As new skins are introduced to Apex Legends, I will be updating this list of Apex Legends Legendary skins. As you wait, check out our posts on the Legendary Weapon skins and Legendary Banners. Bought any of the Apex Legends Legendary Skins? Let me know in The Pit below.